Articles about the north east corner within the designated plan boundary. This area of high-quality houses, is increasingly being converted into up-market apartments, for both sale and rent. 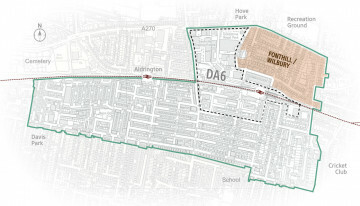 The issues are volume and speed of traffic on Wilbury Avenue/Newtown Road and Fonthill Road and the pressure on the junctions between the two and between Fonthill Road and Old Shoreham – conditions which could be seriously worsened by the large-scale redevelopment of DA6. Also the depletion of trees could be reversed to restore the original Victorian tree-scape.